Melt in double broiler. Or you can section off a heat safe glass jar or pyrex measure cup that you will only use for this type of project. You can place the glass right into the simmering 1-2 inches of water. Let everything melt. I use a bamboo skewer to stir. 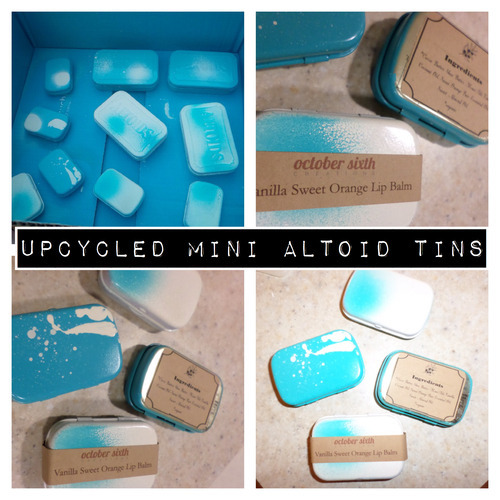 Poured them into the mini altoid tins that I painted a few days earlier. Made some labels. Tada. Previous Post Lisa Likes: My creations inspired your creations?